Provide comfort for the family of Michael Lipsky with a meaningful gesture of sympathy. Michael J. "Swamp" Lipsky, 71, of Benton, Wisconsin, died Tuesday, December 25, 2018, at home. A memorial service will be 2:00 p.m. Friday, December 28, 2018, at Casey Funeral Home & Cremation Services in Benton. Friends may call from noon until 1 :45 p.m. Friday at the funeral home before the service. Mike was born on January 25, 1947, in Kewaunee, Wisconsin, the son of Nicholas W. and Helen M. (Cesar) Lipsky. 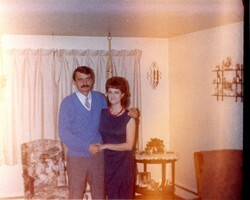 He married Phyllis E. Wesmolan on September 9, 1968, in Junction City, Kansas. Mike attended Holy Rosary Elementary School, Kewaunee High School and NWTC Traffic and Distribution. 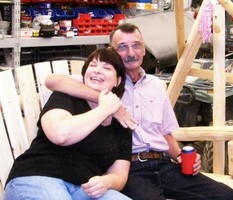 Mike was a parts manager for Wisconsin Lift Truck. His hobbies included fishing, hunting and watching the Brewers and Packers. Survivors include his wife, Phyllis; a daughter, Lorinda (Chad Korish) Lipsky, Cuba City; three brothers, Robert, Green Bay, WI, James (Shirley), DePere, WI, and Dale (special friend, Deanna), Rochester, MN; three sisters, Marie (Leon) Gillis, Luxemburg, WI, Helen Reisner, Johnston, IA, and Nancy (Robert) Bierke, Menominee, MI; one grandson, Jake Korish; and numerous cousins, nieces, nephews and friends. He was preceded in death by a sister and brother-in-law, Patricia (Donald) Shillin, and two brothers, Nicholas J Lipsky and Donald Lipsky. A special note of thanks is extended to Upland Hills Hospice Staff. To send flowers in memory of Michael J. "Swamp" Lipsky, please visit our Heartfelt Sympathies Store. Provide comfort for the family of Michael J. "Swamp" Lipsky by sending flowers.